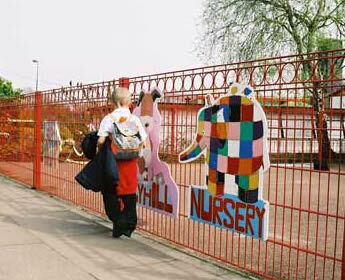 Decorative yet robust Zariba School Fencing is extremely popular with schools and parks, largely due to its ability to provide effective segregation with no risk to would-be climbers. Designed specifically to offer a strong, safe, yet aesthetically pleasing fencing system, the smart ring top design comes with ball finials as standard, and provides an ideal alternative to bow-top railings. Zariba School Fencing is specified in an extremely wide range of projects from schools to zoos, largely due to its striking good looks and ability to delicately segregate or act as a barrier in virtually any environment.